Crypto Cash Pool Review : Another Obvious SCAM Or Good Business? Yota Review : Another Obvious SCAM Or Legit Business? Incloude Review : Genuine Business Or Big SCAM? Welcome to this FULL exclusive Incloude Review! Have you noticed that everyone is talking about Incloude? This is a new investment scheme promising instant wealth to its members. Chances are you have seen the hype on social media, and even some of your friends might have tried to recruit you into this scheme. Incloude is a Canadian company which was started in 2012. This group started as a broker in stocks and securities and sought to unite all brokers through an efficient management of trading processes. Later in 2014, this company got into direct stock and security exchange, in light of the increasing popularity of cryptocurrencies. The company now develops speculative cryptocurrency deals. In 2015, Incloude started providing investment services to clients, backed by cryptocurrencies. There is no mention of the owners on the Incloude website. Darak Hughes is listed as the company director. Although Incloude sells itself as a networking business, this company has no product line. This is unlike other pyramid marketing companies that has tangible products. All that Incloude offers are investment portfolios. Nonetheless, affiliates can offer membership to anyone that is interested in joining this business. When you bring in a new customer, you get to earn referral commissions paid through a uni-level system. Here members can choose from the four options which includes: Direct Solution, Direct Invest, Direct Invest Pro and Direct Income Package. With Direct Solution, members stand to gain a profit of 1.2 % on their capital invested within a period of 15 days. This option is available for investors who invest between $10 and $100. The Direct Invest option yields relatively higher profits, calculated at 1.5 % of the principle within 25 days. Investors have to put in between $101 and $2,000 for this portfolio. As for Direct Invest Pro, this portfolio requires a principle amount of between $2001 and $20,000. Profits for this package are calculated at a rate of 1.8 % of the total capital within a period of 30 days. Perhaps unsurprisingly, the Direct Income package is more profitable, estimated at 2 % of the principle within a 35-day period. Capital required is between $2001 and $20,000. Growing partners can get to enjoy compulsory fund insurance from risks with additional benefits? Unlike with Direct Investment portfolio, the minimum principle for this portfolio is $20,000, and the maximum is $50,000. Profits are calculated at rates between 11% and 24% of the capital amount daily. Investors can withdraw their incomes after ten days. If their compensation plans tickle you, you can join Incloude for free. Also, you can choose to make a minimum investment of $10 as your signing fee and start earning profits directly from the Direct Solution Package. The return on investments at Incloude seem to be unbelievable to many. The company says they can offer the big profits within a short time because they earn extra by mining Bitcoins. Incloude manages Bitcoin transactions and in the process creates new wealth. Through their Bitcoin transaction management, Incloude plays a part in making Bitcoin nodes more secure and foolproof. The process of Bitcoin mining also generates new coins. As is the case with other Bitcoin miners, Incloude earns transaction fees from this activity as well as a percentage of the newly created coins. This helps to decentralize the dissemination of Bitcoins. There is the question of legitimacy. The fact that there is scanty information available about Incloude makes many investors paranoid. Many customers are worried about the authenticity of their ROIs that sounds like a scam. For starters, their website doesn’t mention essential details as who owns the company and who is responsible for day to day operations. Then again, while they say that the company is Canadian, some part of the website is written in Russian. · There are no products to retail; this sounds like trouble for any MLM investor. · A detailed look at the website shows that the domain name has been active only in 2017. · Their address in Canada is virtual; it does not pinpoint the area OR building. · Their brand exposure is in the dark. · The only face of this brand is Darak Hughes, but still, there is no information about him when you search the web. · There is no training provided to investors on how to attract new clients. · Short investment cycles with higher earnings. · Even without having to invest, you can earn commission from referrals. · The more you spend, the more profits you make. · You can rise through the ranks from consultant to manager to the adviser. There are shady things about this company, but their investment compensations are not a total scam. Apart from their Bitcoin mining, the affiliate investment amounts are good enough to sustain their rates of returns. It is a sort of merry go round in which newly invested funds are recycled and used to pay profits that the company owes to its members. The company might be able to sustain the huge profits they dish out now, but what about the future? This company relies heavily on new investments than on Bitcoin mining. It survives on the fact that investment opportunities remain high at the moment. Increased investment activity enables their profitability to stay stable. Every client becomes a partner by default, and the more invites they send out, the more money they earn. Trouble could set in if affiliate investment drops. Going by their current rate of market exposure, the future is grim for this company. New investors want a company they can trust. Incloude needs to publish more information about themselves. Sadly, this company currently lacks the human touch. Unlike other affiliate marketing companies that hold regular seminars and conferences where everyone can meet the owners and partners, that is non-existent at Incloude. Their website leaves a visitor with more questions than answers. Strictly speaking, any sensible investor should think twice before putting their money in this scheme. But don’t just take my word for it, ask around. 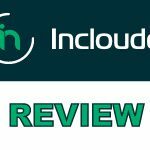 I hope that this Incloude Review was helpful and of great value to you.